In this episode #93, I talk GDPR, privacy and prosecutions. Have you spotted the new Stories’ features on Facebook and Instagram? Beady-eyed bloggers, Facebook’s added in new sticker options which enable you to add in weather and location, but also to tag friends using the ‘Name’ sticker. According to The Next Web’s Matt Navarra, Facebook’s also looking to add in Instagram Stories-like polls for Facebook Stories soon, which will be another functional update to consider. On Instagram, user Jack Appleby has reported that Instagram Stories mentions are now showing up in user notifications, adding to the exposure potential of the in-stories tagging option. Apple is rolling out new privacy information features and an icon that will appear on devices to show you if your data is being used by applications. Tech giant Apple’s privacy policies and rules are already aligned with the forthcoming General Data Protection Regulation (GDPR) that becomes law on 25 May across the EU. The privacy screens will make it easier to understand how and when Apple uses customers’ data when they sign in or turn on new features. The new privacy logo of two people interacting will appear on the device’s screen to indicate that data, such as location information for Maps, is being used at any given time. The software update – which was rolled out on March 29th is accompanied by a major update to Apple’s website, which will also explain the changes. Instagram’s adding some new link options within your profile bio, which will provide new ways to connect your audience to relevant hashtags, or to refer to other users, increasing exposure potential within the app. 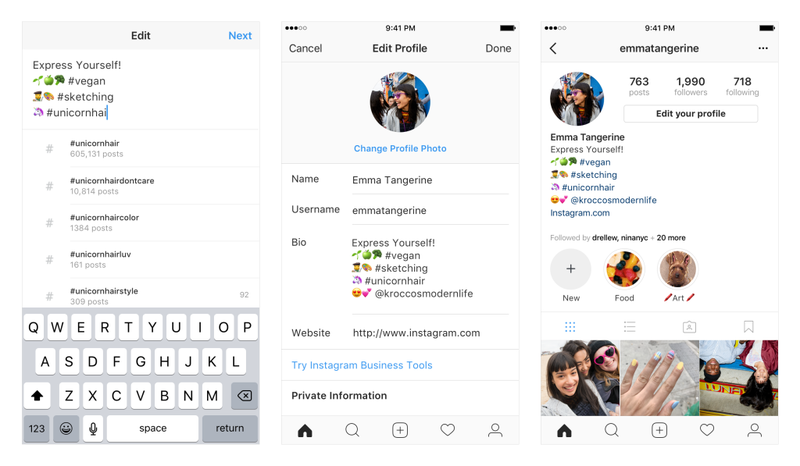 You’ll now be able to add clickable hashtags and/or links to other Instagram users within your bio details. In this episode, I interview Brussels-based Irish journalist, Jennifer Baker. Jennifer specialises in EU policy and legislation in the technology sector. She is a member of the editorial advisory board of the Journal of Data Protection and Privacy – an academic publication that aims to be the gold standard in data protection, and is correspondent for the Association of Privacy Professionals (IAPP) publications The Privacy Advisor and the Daily Dashboard. She was a presenter at the Global Privacy Summit in Washington, D.C. in April 2016 on a panel with Chair of the EU Article 29 Working Party, Isabelle Falque Pierrotin, and US Federal Trade Commission Chairwoman, Edith Ramirez. In November 2017, Jennifer was named by Politico as one of the Top 20 Women Shaping Brussels 2017. In this episode, I share three privacy enhancing tools. Telegram is an encrypted messaging service boasting 200,000,000 users. The app can be used on iOS, Android, Windows Phone, PC, Mac and Linux. Protect your identity by hiding your IP address from prying eyes with Hotspot Shield. It’s available for free or a paid-for version that offer unlimited bandwidth. Hotspot Shield hides your IP address and provides encrypted traffic tunnelling (ideal for use on public Wi-Fi networks) to improve security and ensure privacy. You may not want to use Hotspot Shield at all time. For instance, you may only be interested in using it to access certain sites that are blocked in your country. In this case you can create shortcuts to individual sites in the Hotspot Shield window, which will enable protection before launching the sites. Protection can also be toggled on an off with a single click. This week’s question comes from Janet who attended one my recent digital marketing masterclass. She wants to know if we need to re-subscribe those on our email list. In today’s JSB’s column, I discuss privacy. In recent weeks, it’s been the big topic on everyone’s mind. The out-cry from Facebook and Cambridge Analytica in recent weeks has put the spotlight back on privacy. In fact, I would argue that privacy and trust are the big currencies in the online world right now and will be for some time to come. Meanwhile, in the US, visa applicants are to be asked for social media history before being approved entry to the country. The federal government is proposing to collect social media identities from nearly everyone who seeks entry into the United States, according to a State Department filing last week. Reuters is reporting, that the proposal, if approved by the Office of Management and Budget (OMB), would require most immigrant and non-immigrant visa applicants to list all social media identities they have used in the past five years. Facebook has redesigned their entire settings menu on mobile devices from top to bottom to make things easier to find. Instead of having settings spread across nearly 20 different screens, they’re now accessible from a single place. Facebook is introducing Access Your Information – a secure way for people to access and manage their information, such as posts, reactions, comments, and things you’ve searched for. You can go here to delete anything from your timeline or profile that you no longer want on Facebook. It’s also going to be easier to download the data you’ve shared with Facebook. You can download a secure copy and even move it to another service. This includes photos you’ve uploaded, contacts you’ve added to your account, posts on your timeline, and more. If you want help to review your privacy strategy, then get in touch. Simply email joanne@digitaltraining.ie. The social media tool that saved my working week this week is Datally by Google. Learn about the best ways to gain control of your data usage. Phone – Used to help you monitor your phone’s mobile data usage. Datally doesn’t make or receive phone calls on your behalf. Location – Used to show you high-quality Wi-Fi networks nearby, and directions to get there. SMS – In select countries, this enables you to check your mobile data balance with your carrier, and to get smarter recommendations on how to save mobile data. 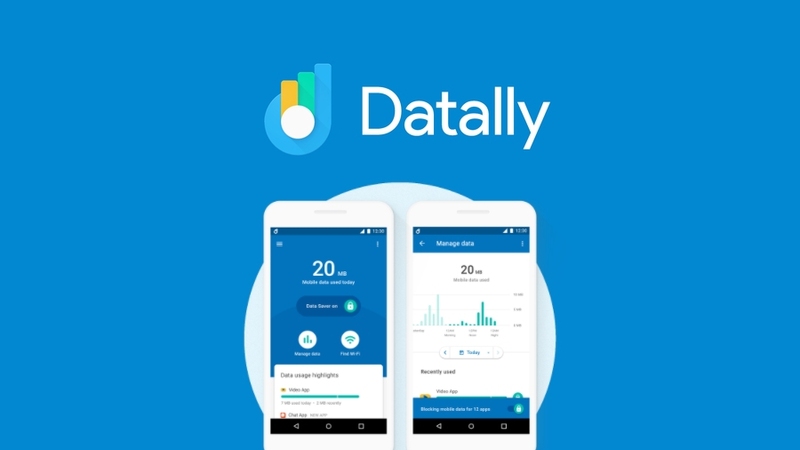 VPN – Datally sets up a local Virtual Private Network (VPN) service on your device for you to help block unwanted mobile data usage – it doesn’t send any of your traffic through Google’s servers. The Datally VPN is only on your phone and doesn’t redirect your Internet traffic to any other servers or locations.